Note: The following article was written by Karen Syrylo, a director with Altus State and Local Tax and Advisory and a member of the MACPA’s State Taxation Committee. 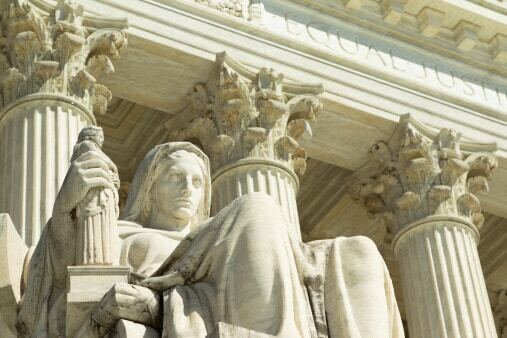 This article, which originally appeared in the Altus Group state and local tax newsletter, centers on new developments for taxpayers who are impacted by the U.S. Supreme Court’s ruling in Comptroller of the Treasury of Maryland v. Wynne. Learn more by listening to this related podcast. Last year, the United States Supreme Court ruled in a 5-to-4 decision that a component of Maryland’s personal income tax structure is unconstitutional because it results in double taxation of income earned outside of Maryland and thus violates the Commerce Clause of the U.S. Constitution (Comptroller of the Treasury v. Wynne, Opinion 13-485). As a result, the state of Maryland is now paying refunds to taxpayers who filed refund claims – some as early as 2008, when the case got started at the lowest level, and some more recently. Now there are tens of thousands of refund checks being mailed out with the estimated overall payout from the state being more than $200 million. Taxpayers have the ability to claim additional credits for taxes paid to other states’ localities. This means not just the other state’s state taxes, but also city and county taxes. Most or all taxpayers claimed credit for only other state, not locality, taxes when they filed their first amended Maryland return pending the case’s resolution. The Comptroller’s Office established an administrative process for how taxpayers can protest the fact that their refunds include interest at only 3 percent rather than the state’s normal interest rate of 13 percent. Additionally, a class-action suit was filed that also challenges the interest rate, directly in Circuit Court rather than using the tax administrative appeal process. Regarding credit for other states’ locality taxes: The Comptroller’s Office is sending a letter of instruction to every taxpayer who did receive or is now receiving a refund check under the Wynne case. In the letter, the taxpayer is informed that they have 90 days from the date of that letter to submit the additional information to claim additional refund for taxes paid to another state’s locality. The taxpayer does not have to file another amended return. The state is only asking for the amount of the additional refund and copies of the supporting data for the tax that was paid, such as a copy of the locality’s tax return or a copy of the statement from the pass-through entity if the tax was paid by the entity on a composite return. This 90-day process treats the locality tax as an additional claim for refund and resolves the question about how to treat the adjustment regarding a previous timely-filed amended return for a year that would otherwise be outside of the statute of limitations. In addition, in 2014, before the Supreme Court’s decision, the Maryland legislature passed a law purporting to change Maryland’s interest rate that applies only to refunds being issued under the Wynne decision. When the state pays tax refunds under certain other circumstances, the law provides for 13 percent interest. However, with this 2014 provision, a 3 percent rate applies only to taxpayers impacted by the Wynne case. Many experts believe this interest rate change is not only unfair (to treat refunds differently) but is also unconstitutional, because it applies retroactively and it applies only to people who had interstate income. It is expected that the issue will be litigated, and therefore taxpayers should keep their appeal rights open by filing their protest and request for additional interest amounts. Anticipating that there will be hundreds or thousands of such protests, the Comptroller’s Office included in the same letter we mentioned above the instructions on how to do so. The taxpayer is told to file a letter with the Comptroller stating that they are protesting the 3 percent interest rate, and stating the approximate amount of the additional interest they are requesting be refunded — that is, the amount that is the difference between the 3 percent received and the 13 percent claimed. Lastly, we are also following a class action complaint filed in the name of several taxpayers also protesting the changed interest rate. The class action suit, Holzheid et al v. Comptroller, was filed in Baltimore City Circuit Court. The Comptroller’s Office has filed a motion to dismiss the case, arguing that the interest issue is a tax issue and therefore the taxpayers are required to exhaust their administrative remedies through the tax administrative appeal process rather than through a class action lawsuit. The taxpayer’s response to the motion was also filed. Many taxpayers continue to file their requests for additional interest using the administrative tax appeal procedures, starting with the request letter to the Comptroller, in order to protect their appeal rights alternatively to the class action. On Feb. 25, 2016, we received notice that the Circuit Court judge has denied the state’s motion to dismiss, and so we await the next steps in the court proceedings. Note: Maryland Sen. Andrew Serafini has introduced Senate Bill 1024, to be heard in the Maryland Senate’s Budget and Taxation Committee on March 17, that would return the interest rate back for Wynne refunds to 13 percent. The bill would instruct the Comptroller to pay the difference to taxpayers who have already received their refunds at the 3 percent rate. The MACPA’s State Taxation Committee strongly supports SB 1024. Keep an eye on CPASuccess.com for updates on the progress of the bill.